​They translated my ideas into a beautiful web site that achieved all the things we wanted. ​​When dentist Dr Shayne Scott purchased the Wodonga dental practice of Dr Rod Paton in 2015, she was stepping into big shoes. With Dr Paton retiring after almost 40 years, she wanted to put her stamps on the practice by changing its name from the well-known RP Dental to Dental On Lawrence, reflecting the surgery’s street address. 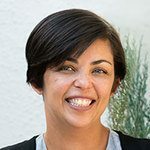 Her initial DIY website hadn't quite captured the vision and energy she had instilled into her team, nor was it easy to update. 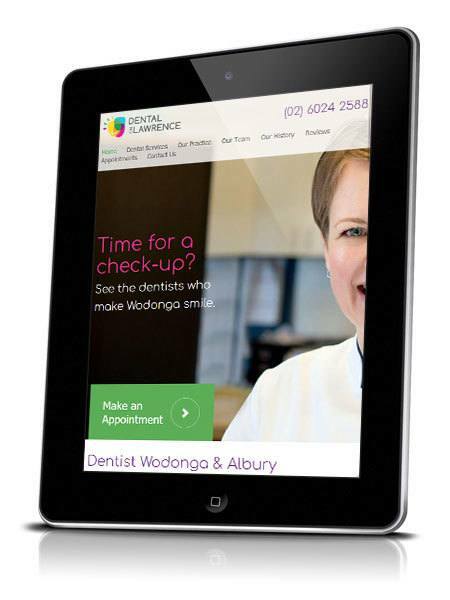 Her new site needed well written content with SEO to attract new patients – while reassuring existing ones. Fortunately, she didn’t have to look far for a web developer who could help her achieve her goals. ​Dr Scott contacted ​us because ​we had built a website for her partner, David. 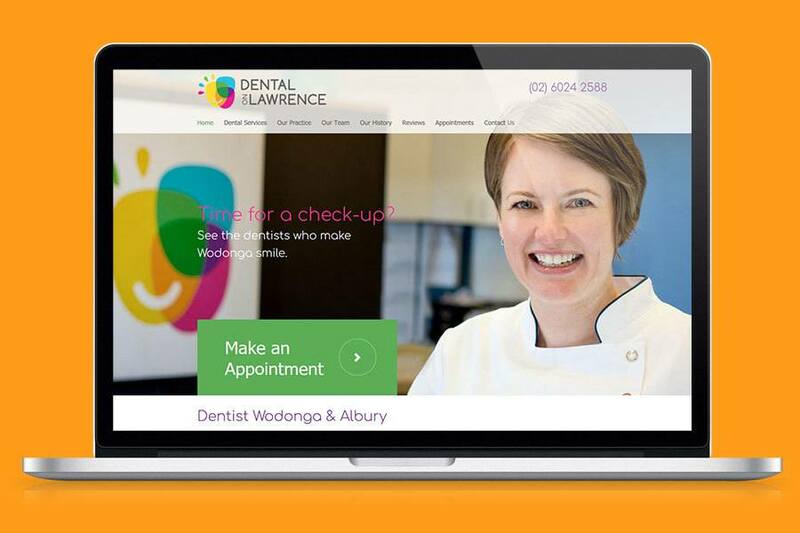 There were three objectives: SEO challenges related to the change of business name, capturing the fresh, new spirit of the practice, and making the website more flexible and easier for the practice manager, Eloise to edit / add content. The existing WordPress site didn’t really reflect the approach Dr Scott and her team had brought to the practice when they took over. That called for professional copywriting, with the SEO required to get the site ranking well in local searches and a website design that expressed their exuberant branding. 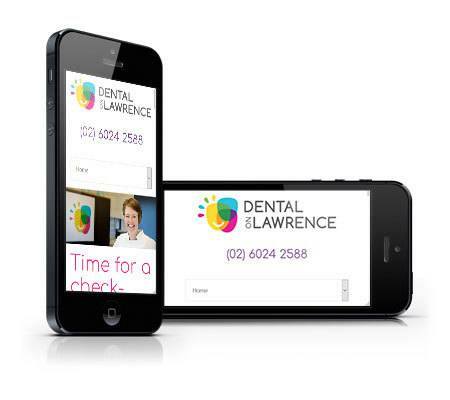 ​The dental practice manager, Eloise had a lot of ideas for what she wanted from the new site, but wasn’t sure if she could explaining them clearly. ​“For a layperson, it’s hard to put into words how you want your website to look and feel to readers. But, it was very easy to talk to Josh. He had lots of great suggestions, but he was honest, too: He’d tell me if something wouldn’t work and offered alternatives. “He translated my ideas into a beautiful web site that achieved all the things we wanted. It’s also a true reflection of who we are – it was important to us to be authentic. “Even now, if I ring and tell him I’ve forgotten how to do something, he’s happy to walk me through it or just do it for me. ​Take your website to the next level with a new, modern design that mobile friendly and built to generate more sales, leads or subscribers.